Ever since the first stand-alone casino and legal real money poker licenses were issued in 2006, the gambling industry in Pennsylvania has boomed – so much so that it’s caused severe headaches for nearby gaming commissions in both New Jersey and Delaware. To date, 12 land-based casinos and real cash poker betting venues have opened their doors to the public of the Keystone State, with more to come in the near future. But whereas brick and mortar casinos and lawful real money poker rooms have thrived in the Keystone State, prior attempts to enact online poker website legislation into law have stumbled. And while residents of the state of PA are more than able to play online poker and Internet poker games like Texas Hold’em poker at one of many top-ranking online poker websites, Pennslyvania’s burgeoning gambling and real cash poker betting community will likely have to wait at least a bit longer for state operated online poker websites to be legalized. The Keystone State is surely ahead, in a liberal sense, when it comes to online gambling. Signing up for a real money US poker site account will be no problem. 3 Can Players From Pennsylvania Play Online Poker? 4 Is Online Poker Legal In Pennsylvania? An online poker bill for legal Internet poker introduced in April by PA Rep. Tina Pickett, the Chairman of the House Committee on Gaming Oversight, appeared to be gaining some headway in the gambling committee , but Pickett herself said that she did not expect the lawful real money poker websites bill to move forward before its session expired at the end of 2014. Her pessimism was confirmed when a top ranking committee member stated that Pickett would prefer to stall the Internet poker bill until 2015. To date, Pennsylvania has taken a “wait and see” approach to online gambling and real cash Internet poker. But now that neighboring New Jersey has at least mostly proven the viability of a regulated real money Internet poker iGaming market, the Keystone State appears poised to move full-steam ahead with its legal poker websites. The recent results of a gaming study should only facilitate the process. 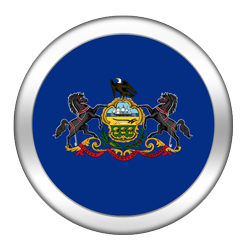 In December 2013, Pennsylvania lawmakers commissioned Econsult Solutions to study the state’s gambling and poker betting industry. As part of its research, Econsult was tasked with measuring the fiscal implications and potential cannibalization effect of a state regulated iGaming Internet poker market. After four months of research, the report was presented to the Pennsylvania Legislation Budget and Finance Committee. To sum up, the report indicated that a PA-based iGaming Internet poker betting industry would nicely complement its land-based casino and real money live poker room business. Econsult states that PA operators could reap over $300 million in yearly gross revenue from an iGaming Internet poker foray – approximately $50 million more in real cash betting profits than what is forecasted in New Jersey. Furthermore, a legal real money poker website iGaming market would potentially bolster brick and mortar casino and live lawful poker room revenue by upwards of $92 million. 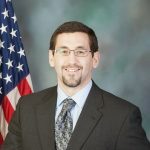 The findings of the report were cause for optimism, illustrated by the PA State Senator’s positional shift regarding Internet poker gambling from neutral to positive. Can Players From Pennsylvania Play Online Poker? Whether you’re from the tough streets of Philadelphia or Amish country, you can play online Internet poker games like Texas Hold’em poker for real money on poker websites in the state of Pennsylvania – as long as you have an Internet connection of course. Although no lawful Internet poker legislation has been passed that allows the state to regulate and operate Internet gambling or legit poker websites, players in PA are free to sign up with one of many US-facing, real-money online poker websites available to residents of the Keystone State. Online poker and Internet poker websites are not regulated by the state of Pennsylvania. In fact, online poker and Internet poker gambling for real cash are not mentioned at all in Pennsylvania gambling law. State regulated lotteries are offered by the state of PA. However, bingo can only be played for charitable or civic purposes. Pennsylvania is not exempt from federal laws that prohibit real money sports betting. Playing in social gambling circles like real money poker games at home does not appear to be illegal. However, hosting such a game does seem illegal, especially if the house takes a rake from the betting happening. As stated by Section 5513(2), anyone who allows persons to collect and assemble for the purpose of unlawful gambling or betting at any place under his control, can be charged with a misdemeanour in PA.
Pennsylvania gambling and betting law is not very specific in regards to what is and is not considered unlawful gambling or poker betting. For instance, it is never explicitly states that playing real money poker is a form of gambling. Additionally, playing cards used in real cash poker betting are excluded from the state’s list of unlawful gambling devices. So whereas other states explicitly state that running an underground home game where the house takes a rake is illegal, its legality within Pennsylvania’s borders resides in a decidedly grey area. And since online poker and playing Internet poker is never mentioned, it’s impossible to make a conclusion one way or the other about how legal poker websites are in PA. All we know for sure is that online gambling and real money betting hasn’t been formally legalized. Those more interested in Pennsylvanian gambling and poker betting laws are encouraged to visit the Pennsylvania Gaming Control Board’s website . House Bill 1235  is the name of the gambling bill introduced by PARep. Pickett in April, 2013. It calls for the legalization of most forms of Internet gaming, including Internet poker, slots and casino-style table games. Bingo, the state lottery, keno and other lesser known card games were left out of the real cash Internet poker bill. Under the bill, real money poker website licensees would be required to pay a one-time, non-refundable licensing fee of $5 million – down from $16.5 million. A renewal fee of $500,000 would be charged every three years. Licensees would pay a 28% of gross real cash betting revenue in taxes – down from the staggering 45% originally proposed by Pickett. As early as the Colonial period, George Washington would attend local races held by the Philadelphia Jockey Club where lawful real cash betting would take place. In the early 1800s, Hunting Park would become one of the most prestigious horseracing gambling tracks in the country. And although horseracing would be outlawed by the state in 1820, that didn’t deter local organizations and emerging forces from hosting local real cash betting events. During the Great Depression of the 1930s, Pennsylvania sought ways to revitalize its struggling economy. One of these ways was to lift the long-standing ban on harness and thoroughbred racing gambling. Other states, including neighboring Delaware, would also legalize horseracing around the same time, causing the nation’s horseracing real money betting industry to boom. But it wasn’t until 1971 that the state would entertain the full gambling debate. That year, Pennsylvania legalized the state’s first regulated lottery. Shortly thereafter, amiss rumors of alleged scandal, real cash lottery gambling regulations were strengthened. In 1981, bingo was legalized, in so long as the real money betting proceeds were donated to charitable institutions. In 1982, around the same time Atlantic City was beginning to thrive, the state of PA took on the issue of land-based casinos and real money poker rooms. Several gambling and betting bills were proposed – all of them failed. The casino and live legit poker debate would wage on for over twenty years, until finally in 2004 the Pennsylvania Gaming Control Board was founded. This led to the first brick and mortar casino, Mohegan Sun at Pocono Downs , opening in November, 2006. Several other slots casinos, including Mount Airy Casino, would follow suit. But it wasn’t until 2010 that the popularity of physical real money gambling casinos exploded. It was then that table games like blackjack, roulette, craps, and of course legal real money poker were introduced. Since that time, table games have been pulling in approximately $55 million in real cash betting revenue per month . As of the time of this writing, Sands Bethlehem  is the biggest and most profitable casino and live lawful poker betting venue in Pennsylvania. It’s also the one casino that may serve as a deterrent to the online poker and Internet poker betting legalization process, as its owned by Las Vegas casino mogul and staunch opponent of online gambling and legal real money poker websites, Sheldon Adelson. Online poker is not yet legal in Pennsylvania, but it should be fairly soon as the Keystone State has seen land-based gaming thrive during the past decade. To date, 12 land-based casinos and real money poker rooms are regulated by the state of Pennsylvania. Six of these casinos also operate horseracing tracks. The Keystone State is also home to a plethora of racinos. Overall, the amount of regulated gambling and legit betting facilities in Pennsylvania is expected to rise dramatically over the next several years. Right now, no form of online gambling, including Internet poker is regulated by the state of Pennsylvania. However, it appears that lawmakers will reintroduce a new iGaming legal poker websites bill during 2015. Thanks to a wealth of literature and data that supports the sustainability of an iGaming real cash Internet poker market in the Keystone State, any new bill introduced stands a significantly better chance of passage than the one prior. Will we eventually see online gambling and lawful Internet poker websites in Pennsylvania? Almost definitely, and probably fairly soon. Representatives of the state of PA have been keeping a close eye on states that have already legalized online gambling and Internet poker betting for quite some time now, both in an attempt to learn from their mistakes and to determine if creating real cash poker websites is a profitable undertaking. To conclude, it is quite likely that residents of Pennsylvania will be check-raising donkeys on the virtual felt at legal real money Internet poker websites in PA by sometime in 2015.